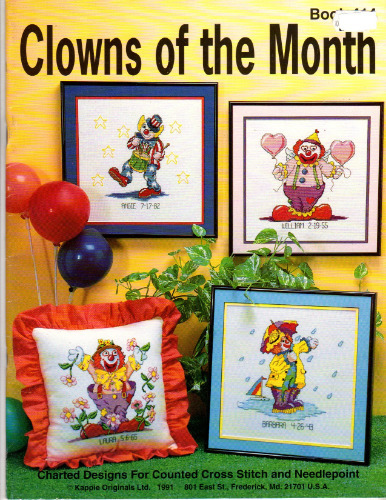 Kount on Kappie Clowns of the Month counted Cross Stitch and needlepoint Pattern booklet. A clown for each month of the year. Personalization alphabet and numerals. Appears new. Price tag on cover.